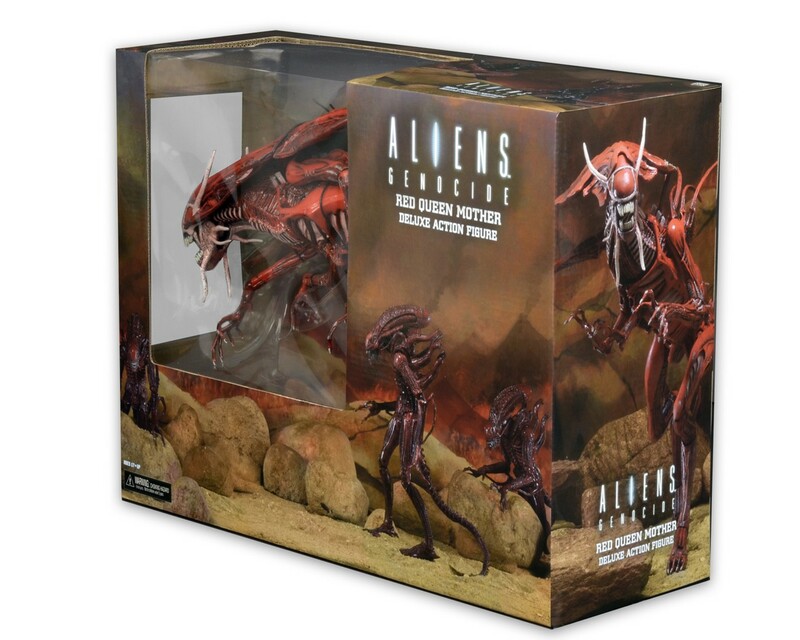 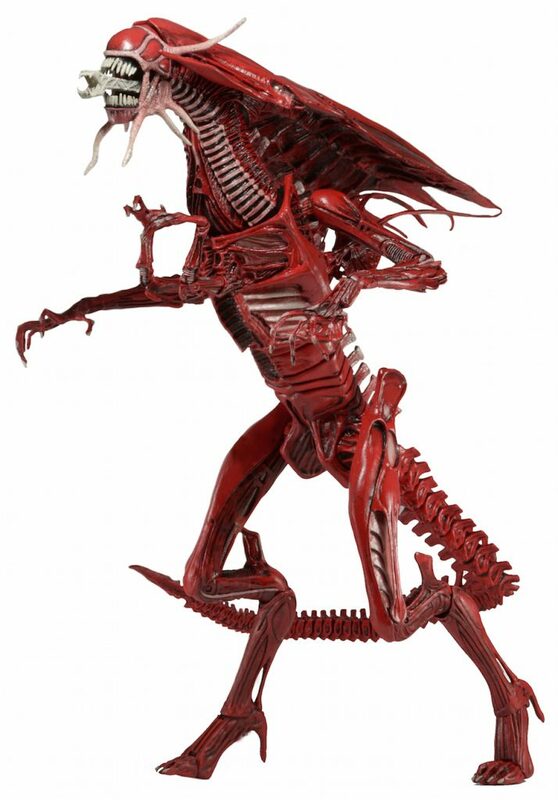 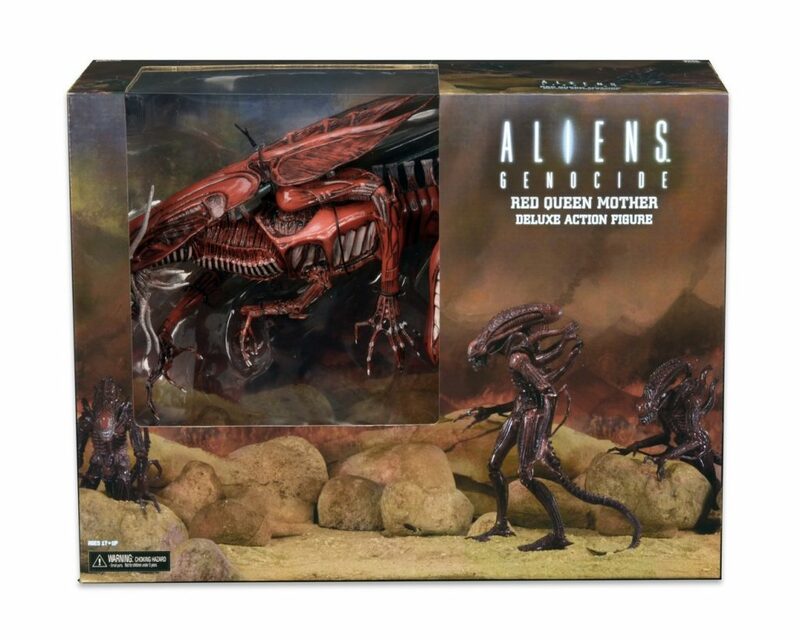 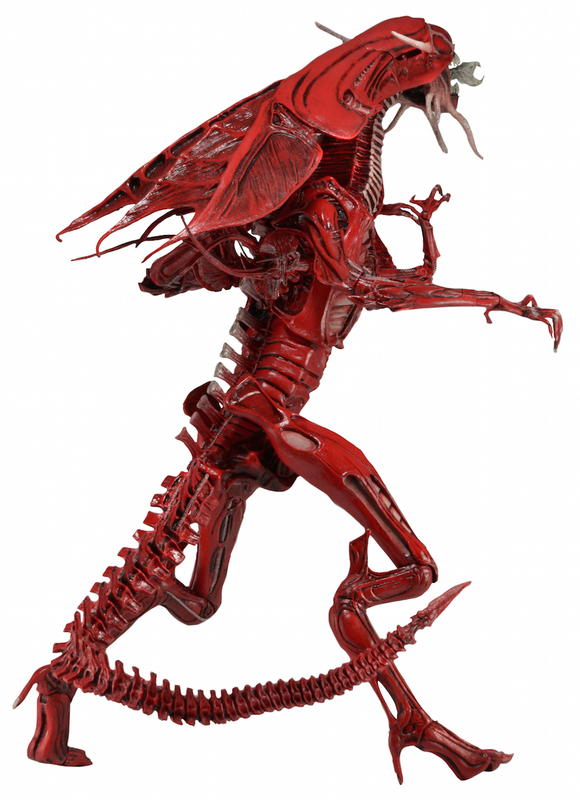 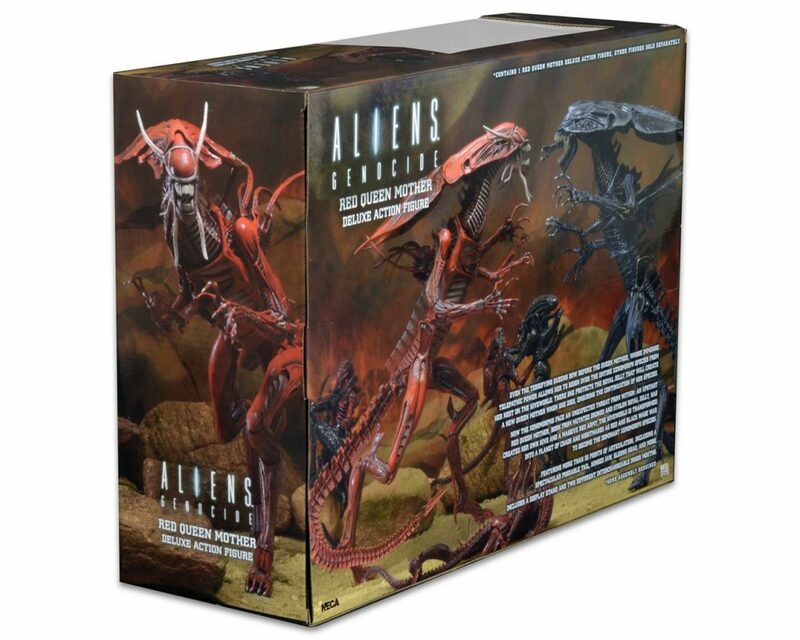 Hot on the heels of our massive Xenomorph Queen, the equally spectacular Red Queen is based on her appearance in the classic Alien: Genocide comic book mini-series published by Dark Horse. 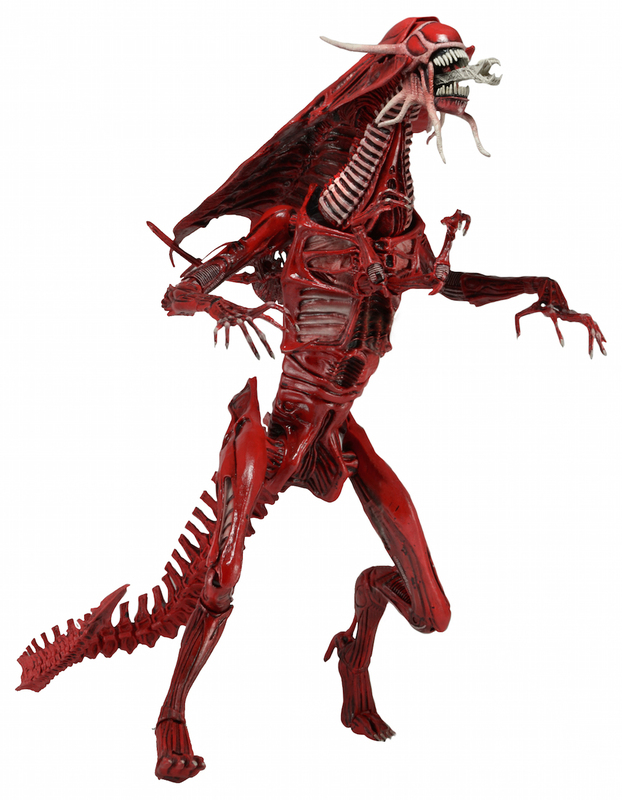 The Ultra Deluxe Red Queen stands over 15″ tall and is over 30″ long, with over 30 points of articulation, including a spectacular poseable tail. 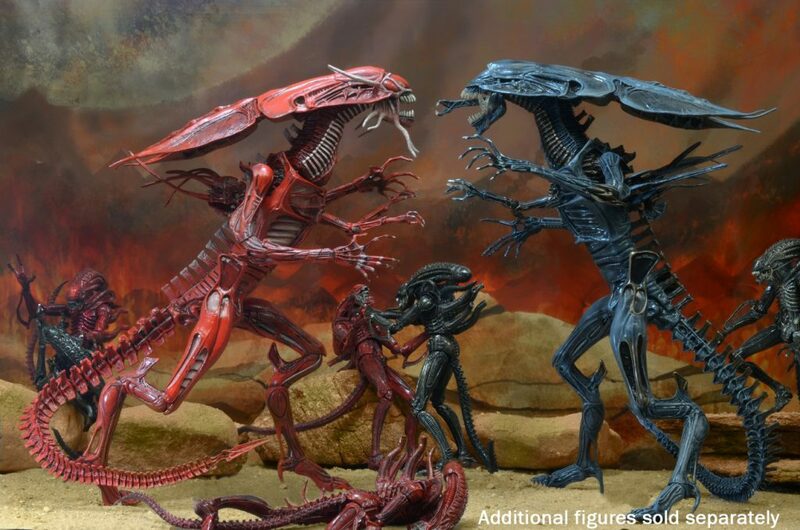 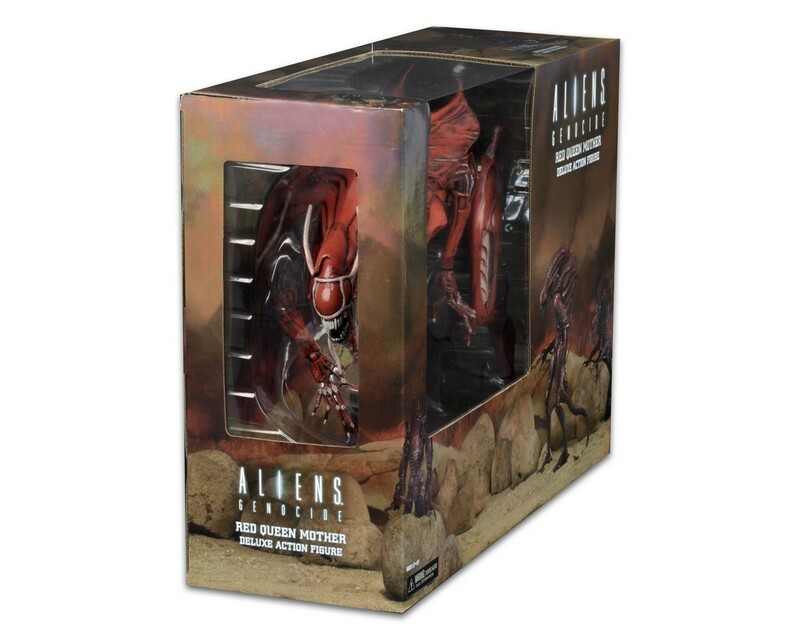 She’s completely in scale with our current Aliens action figure line, and features a new head crest and all-new deco. 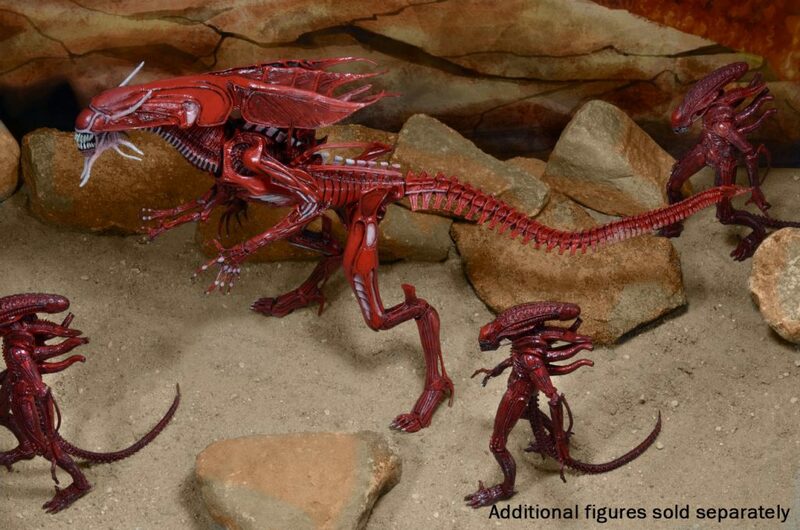 Includes a display stand and two different interchangeable inner mouths.